Fans of local liquor will already be familiar with Middle West Spirits and Watershed, but another Ohio spirits producer has quietly entered the market. 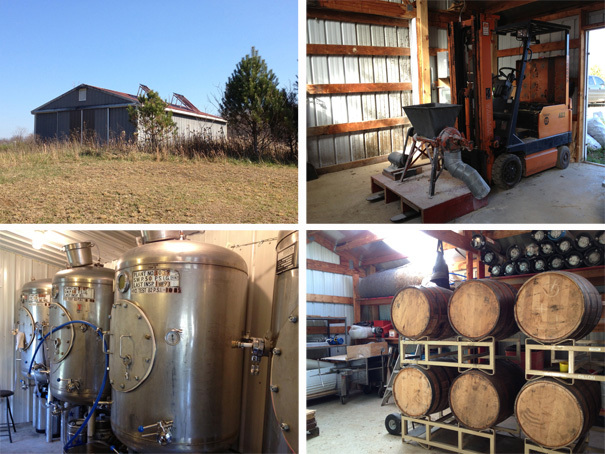 Dancing Tree is a new micro-distillery in Meigs County, near Athens, set on a 200 acre farm with a beautiful 1850s farmhouse which is currently being restored to house both a tasting room and a small bed and breakfast. The distillery started production late last year and had its first product on the shelves in April 2012. Dancing Tree is the brainchild of former Marietta Brewing Company brewmaster Kelly Sauber, a graduate of the Siebel Institute of Technology, who has been brewing professionally since 1996 and was looking for a new challenge. He found it – at the moment it’s mostly a one man show, with assistance from Kelly’s partner and teenage sons. As a brewer Kelly conceived of the brewery as a grain based distillery but his first product was actually a grape based vodka with second-press Vidal grapes from nearby Shade Winery, essentially taking a waste product and turning it into a highly drinkable spirit. Kelly’s resourcefulness is demonstrated again and again in his use of second hand and retrofitted equipment, his homemade stills and use of what is on hand locally. The electricity from his 100% solar powered warehouse is stored in the forklift battery and is used to power his grain mills. He’s also extremely passionate, engaging, and overflowing with ideas. 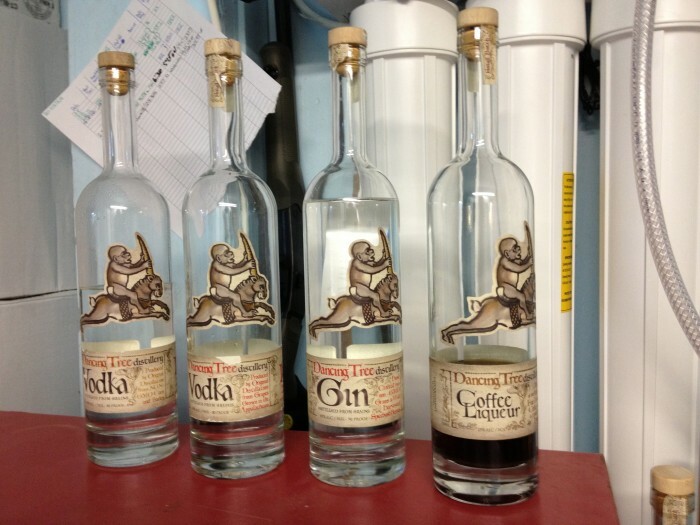 A year into production, Dancing Tree already has four spirits available for sale: their original grape based vodka, a local corn vodka, spicebush berry gin and a coffee liqueur. Elderberry and pawpaw brandies are in the midst of production and Kelly is already working on a sorghum based rum (sorg-rum?) and an aged corn-based whiskey. There were also small trial batches of a garlic vodka, designed for Bloody Marys, and a hopped vodka – he’s still a brewer at heart. This is impressive given how tiny the production facility is and because everything is made from scratch. Dancing Tree produces about 400 bottles a week from a 12 ft by 21ft space. So far, my two favorites were the gin and the coffee liqueur. The gin, made with the corn based vodka, is flavored with three botanicals – locally foraged spicebush berries (sometimes known as Appalacian allspice), rosehips and juniper. Spicebush berries have a tendency to overpower other flavors but here they are well balanced with the juniper and while it’s quite clearly a gin, it has its own unique flavor profile. The coffee liqueur is made with Cafe Feminino coffee beans French-roasted by Silver Bridge Coffee Roasters in Gallipolis. It’s sweetened with local honey and flavored with a touch of vanilla. It is much less syrupy sweet than other coffee liqueurs and has a strong coffee aroma. Kelly recommended it in a Dancing in the Snow – a mix of Dancing Tree coffee liqueur with Snowville Creamery half and half over ice (Snowville Creamery is also located in Meigs county). Athens has a vibrant, interconnected local food scene and Dancing Tree fits in perfectly. 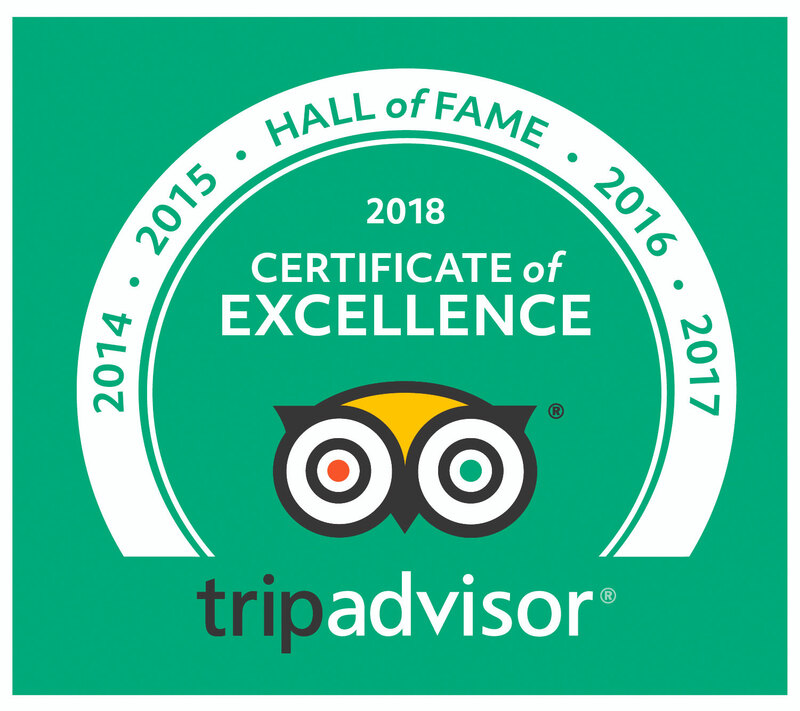 Kelly has been associated with the local food scene since 1996 when he set up O’Hooley’s brew pub in Athens, so he has a strong network of friends and contacts. Kelly partners with many neighbors and local farmers for his raw ingredients such as honey, corn, elderberries, pawpaws and grapes and his spent grain feeds a neighbors pigs. He tries to use as many local and indigenous ingredients as possible to cut down on transport costs and support the local economy. 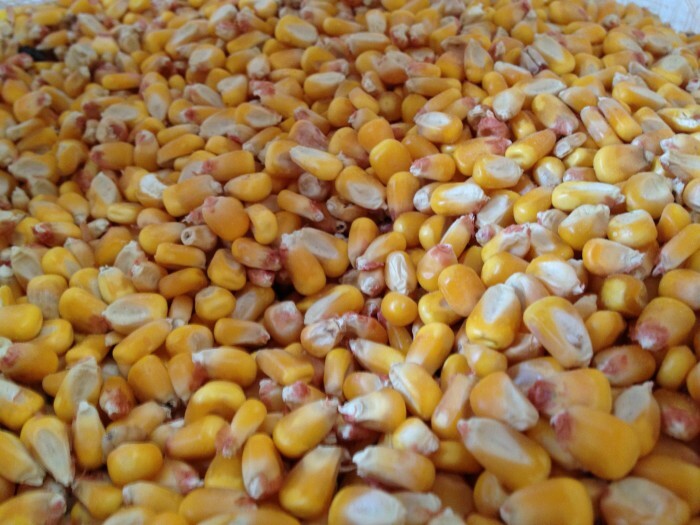 Kelly uses heirloom, open pollinated, non-GMO corn from two local farms – one of which is certified organic – and what the farmers lose in yield (relative to more traditional approaches) they save in transport costs and reduced use/cost of chemicals. Dancing Tree is available in Columbus at Weilands Gourmet Market, Campus liquor store (2465 North High St), Europia and you’ll find it behind the bar at Brothers Drake. You’ll also find it in Nelsonville, Athens and Marietta. The sorghum rum and fruit brandies should be available by Christmas 2012 but the aged whiskey won’t be ready until 2015. The tasting room is due to open mid-December and will be open by appointment only. 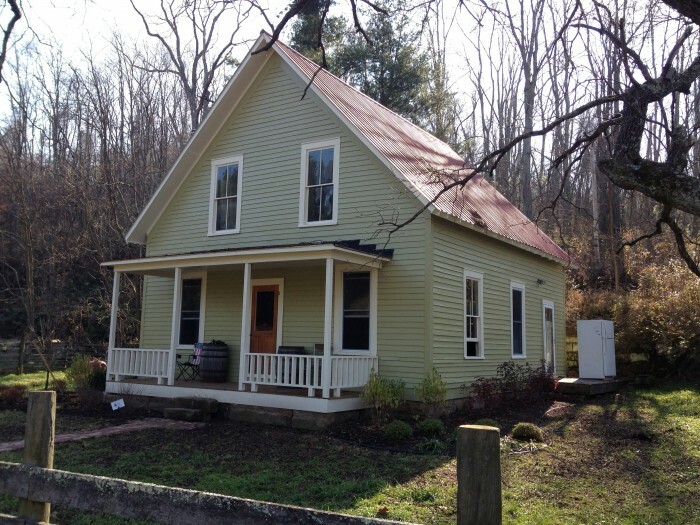 The Bed and Breakfast is planned for spring 2013. Learn more about Dancing Tree and listen to an interview with Kelly Sauber next Saturday on WCBE Foodcast.